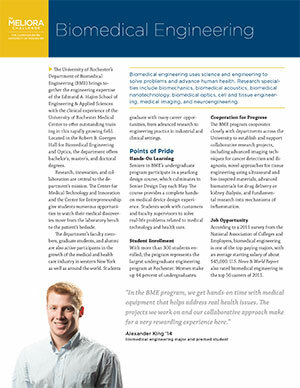 Thank you for considering giving a gift to the Department of Biomedical Engineering. Your support of the department can create academic and research opportunities for students and faculty and have a profound effect on human health and well-being. You can donate to the department online by selecting “Dean’s Fund for Biomedical Engineering” under “Choose where you’d like to designate your gift” on this secure online form.